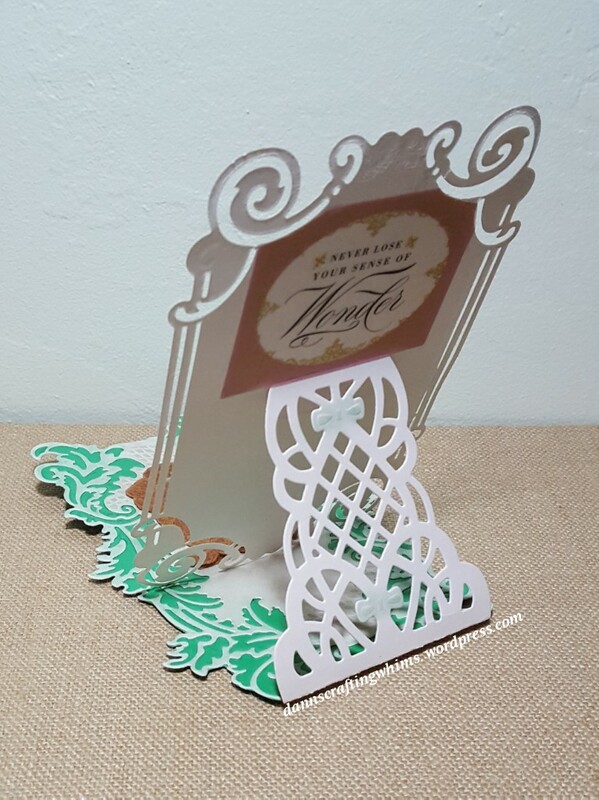 This entry was posted in Any Occasion Cards, Cards, Humorous cards, Papercraft, Thinking of You Cards, Wobble cards and tagged Anna griffin Easy Easel, annagriffininc, cardmaking, Cat card, catlovershop2018, characterworld, Cuttlebug Anna Griffin Ornate Frames, Disney, easel card 3dcards, handmade cards, Mama Elephant Hooray, mamaelephant, papercrafting, Papercrafts, Technique Tuesday DIY Say It Hugs, Tigger, Winnie the Pooh, wobble, wobblecard by dannscraftingwhims. Bookmark the permalink. How clever! Who doesn’t love Tigger. I’ve so enjoyed your cards this week. Super fun card! Love Tigger! really does bounce!!! lol Love this. Love your creativity. I love this! WHERE did you get the Tigger die!? 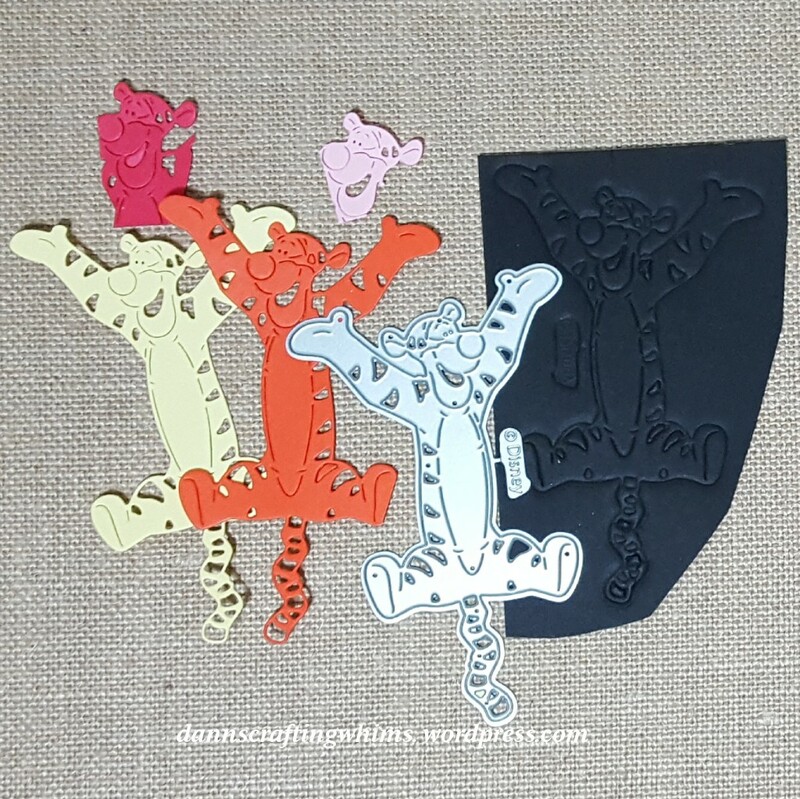 My hubby LOVES Tigger, and we collect Tiggers! I have to get one for us! Love this Tigger most of all! Oooh, this is a beautiful easel card and how perfect to show off Tigger. 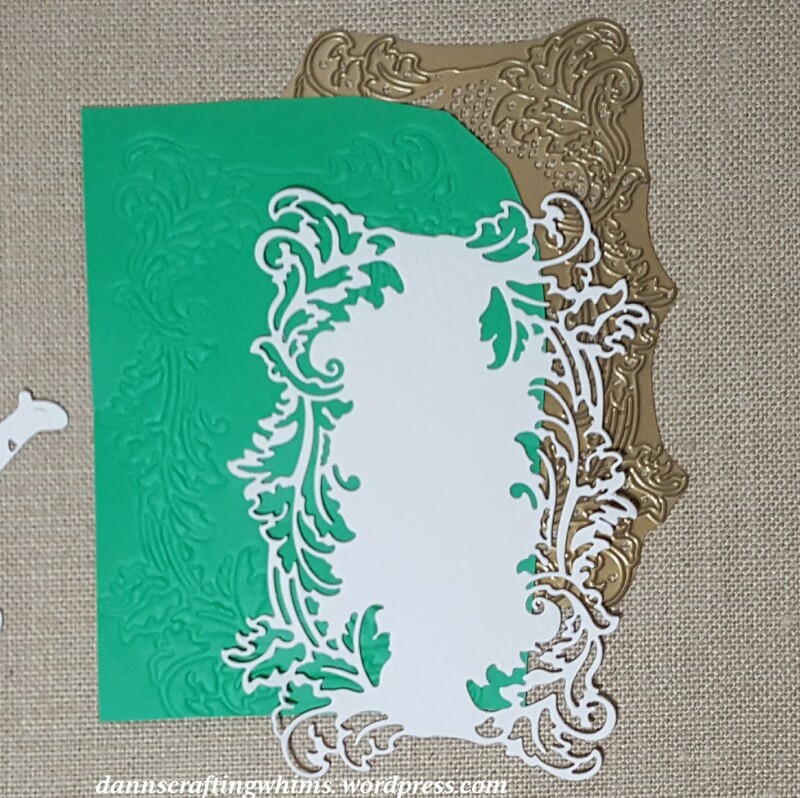 I love that you die cut him in different card stock colors and then layered. Bouncing off to start counting your Spellbinder dies! How fun easel card!! Brilliant! Wow! This is totally funny!!! I love so much the beautiful surprise to see Tigger inside of your card!!! It’s so festive! I also love all the other details! Your card is elegant too!!! Oh – ahaha! I did not expect to see Tigger on the front! LOL! Such an elegant backing and on each photo going through, I thought I’d see something classical – but then TIGGER! ahaha! (should have picked up on the ‘where are my car keys’ bit of humour!) Love it! I thought it was a fun juxtaposition, too! Thanks for noticing!! I love Tigger! I have two Tigger sweatshirts that I found at the thrift store and I always get a compliment when I wear them – everyone loves Tigger! 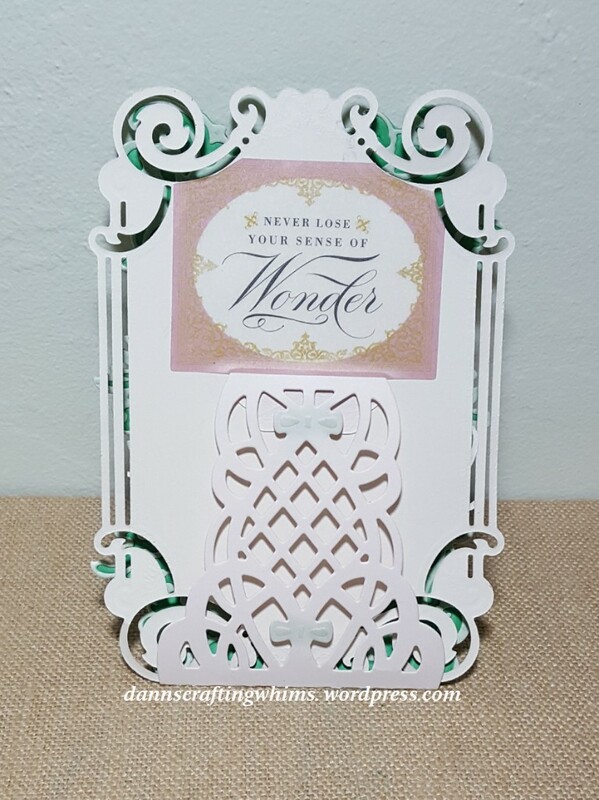 Your card is adorable – love the wobble feature! Thanks for all the wonderful kitty inspiration on the hop, D.Ann! I really enjoyed your cards and projects! Those are intricate designs and loving your card. I love Tigger! Great wobbly card! It autocorrected in my mind until I saw this…. now I can’t stop laughing….. I think I hear frogs croaking!!! Hahahahaha! Oh, my dear D.Ann!!! 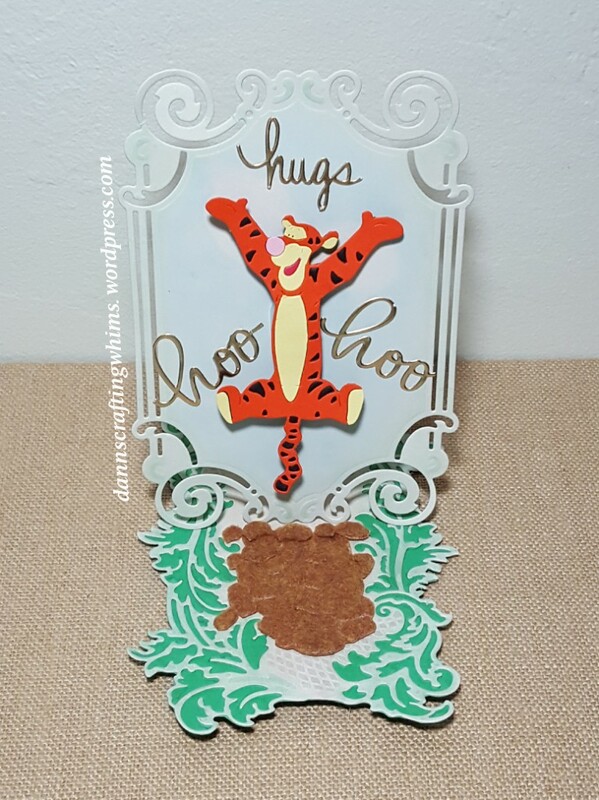 What a wonderful bouncy Tigger card with the fancy easel frame. Who even knew there was such a thing as a Tigger die?????? Not I. Thank you for all your fabulous and creative projects. You are such a dear and so much fun to have on the Hop!!! Thank you for being you!! OH how fun – I love your wobbly tiger! Thanks so much for linking this adorable card up to the Cropstop blog this month!